We all face certain times in our lives where we need more money than we actually have access to. For instance, you might find that you want to buy a home for you and your family to live in, but despite your income, you simply don’t have enough cash to buy a house. On the other hand, you might need a loan for something smaller, like a car or a last-minute purchase. Some people simply need forms of credit to help them get through the month with a greater amount of ease. Here, we’ll cover ten different types of credit that is available in the UK, and define what each of these forms of credit entail in greater depth. Importantly, it’s worth noting that there are range of other types of loans and lending solutions available, these are simply some of the most common. Mortgages are one of the most common kinds of credit out there. In fact, the chances are that everyone will have a mortgage at least at one point in their lives. A mortgage is a type of loan that is specifically taken out for the purpose of buying land or property. Most of these loans run for a minimum of 25 years, but the amount of time your mortgage lasts can be longer or shorter depending on your specific needs and circumstances. The loan in a mortgage is secured against the value of your home until it can be paid off. If you cannot keep ahead of your payments required from you, then the lender will have the right to repossess your home, and sell it so that they can get their money back. You can apply for a mortgage from a building society or bank depending on their specific product range, and you can also consider using a mortgage broker to help you get a better deal. A secured loan is a type of loan that is linked to your property or assets in some way. The way that secured loans work, is that instead of focusing entirely on your credit rating, the lender considers your ability to offer something valuable up as security in case you’re unable to pay off the debts that are required of you. A secured loan is linked to your home or automobile, and therefore they’re only available to people who have something to offer in return. Although there’s a lot of dangers involved with taking out a secured loan, for instance, you could end up losing your property, or having it repossessed, these types of credit are often more flexible because you will generally be able to borrow more money and for a longer amount of time than you would be able to with an unsecured loan. The exact amount that you can borrow with a secured loan will depend on how much free equity you have available to you. Importantly, free equity refers to the difference between the value of your property, and the amount you owe. Unsecured loans are often the preferred alternative to secured loans for many people who want to avoid as many risks as possible when taking out money or accessing finance. Unsecured personal loans are available to borrowers who have a somewhat fair credit score, and you don’t have to be a home or car owner to apply. Unsecured loans can be used to borrow a wide range of amounts for different things, though they’re usually cheapest between £7,500 and £15,000. To make sure that you don’t pay over the odds on your unsecured loan, it’s important to check the terms and conditions for the different fees and charges of the financial property, such as penalties for early repayment. Remember that unsecured loans are available to a range of different people, and they give you the flexibility to choose how long you need to repay them, with many borrowers making fixed repayments over a term between one and five years. Some loans will offer the option of payment holidays towards the start of the agreement. 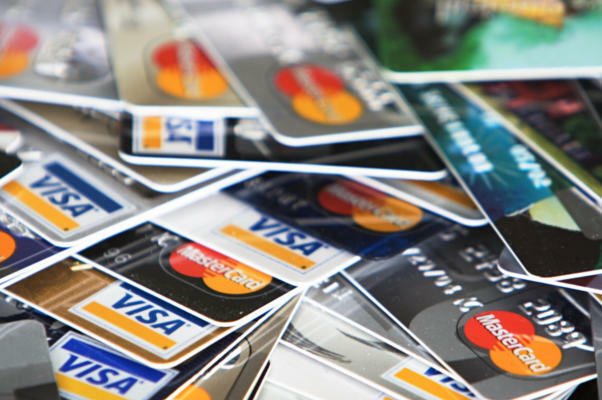 Credit cards are an obvious, and often popular form of credit. Credit cards can be used to make purchases, reduce the price of expensive debts, and to earn various rewards and cashback on certain purchases. Credit cards are like a time of loan, where the money that is spent on your card is taken from a lender such as a building society or bank. Interest will be added onto the amount that you spend on your account if you don’t pay off what is owed at the end of the borrowing period. When you apply for a credit card, you ask to borrow money from the card issuer. The issuer examines your credit history before accepting your application, and if you have a particularly bad credit score, then you may be refused credit, or given a somewhat less attractive deal. If the creditor is happy with your credit, then you will be given a credit limit, which will refer to the amount that you can spend on the account in total. The card company will send you a new statement each month that details your transactions. A debt consolidation loan is a type of credit that allows you to combine your various debts into a single loan, so that you only have to make one payment each month. The reason that it’s seen as a form of credit and not just another loan is that it asks someone to pay off all the loans that you have for you, so that you owe one lump sum of money, rather than having deal with multiple accounts and different lenders. In debt consolidation loans, you simply transfer a significant chunk of your borrowing over to one loan. From that point, you’ll be able to close down the other loan agreements and credit card debts you had before. Rather than having to make a range of separate pay to alternate lenders, you’ll only have to make a single payment to your loan provider. In each loan that you need to pay off, you can check whether there are any repayment charges to ensure that you don’t pay more than you need to. Most of the time, debt consolidation loans are unsecured, which makes them more attractive to lenders. Purchasing a new car, whether you’re looking for a brand-new model, or you’d like to try your hand at a second-hand vehicle can be an exciting experience. However, arranging the finance that you need to cover the costs of your vehicle is less fun. While many people spend a lot of time contrasting and comparing different models and makes of car, fewer people pay attention to the different comparing and contrasting that they should do when choosing the right car finance deals. The last thing you want is to pay over the odds in order to access the money that you need to pay for a car. Often, the complexities of car finance deal can make it difficult to ensure that you’re getting the cash you need for a price that you can reasonably afford. Make sure that you check out all of the deals that are available to you before settling. As the name might suggest, a bad credit loan is a loan that’s been designed specifically for people with a poor credit history. There are plenty of different reasons why someone might end up with a bad credit rating, from being unable to keep up with payments on previous agreements, to ending up with a CCJ against their name. Even if you have never had a credit card or loan before, you could end up with a bad credit rating because lenders are unable to access evidence that allows you to show whether you can manage your borrowing properly. If you have bad credit, you might find that it’s practically impossible to borrow money from a mainstream lender. This is why there are so many specialist credit cards and loans available for people with limited credit records. The biggest advantage of a bad credit loan is that you will actually be able to borrow money which you might not have been able to access otherwise because of your limited credit history. This can offer a lifeline to people who desperately need credit but are unable to obtain it anywhere else. A guarantor loan is a type of unsecured loan that asks the borrow to ensure that a second person is comfortable to act as their guarantor, meaning that they will have to pay the money if the original creditor cannot. Loans in this area tend to last for up to five years, and the amount that you can borrow is often limited. Guarantor loans are a pretty old concept, and it’s how banks used to lend out money before computer credit scoring took over. These loans are typically aimed at people who would struggle to get the credit that they need through typical means because of being rejected elsewhere or poor credit histories. These loans also give you a chance to borrow more than you would normally be able to with poor credit. Almost any person can act as a guarantor so long as they aren’t financially tied to the person seeking credit. For a guarantor to be accepted they will need to be a UK homeowner, with a good credit history and over the age of 21. Guarantor loans can be dangerous when it comes to causing problems within pre-existing friendships and relationships. Businesses often require a lot of capital to get them off the ground or even pay for expansions at a later stage. Because of this, companies frequently take out business loans to help them get the financial assistance that they need to thrive. A business loan is a type of debt that the company will need to repay in a set amount of time according to the specific conditions and terms of the loan. It’s important to make sure that you understand exactly what will be expected of you with a business loan before you agree to any specific terms and conditions. A business loan is an amount of capital that’s borrowed towards expenses that they can’t pay for themselves. While some business owners use loans to pay for wages and salaries until new companies get off the ground, others put the borrowed funds towards office supplies and other concerns. Usually, lenders will want to know how the business is going to use the money that they borrow, so you might have to put across a plan of action in order to get the credit that you need. Finally, rather than obtaining credit through a bank or building society, credit unions allow people within a local organisation or community to save and borrow money together. In the UK, there are over 500 different credit unions to choose from, which means that almost everyone has access to at least one. There are also different work-related credit unions, for employees of certain areas like the NHS, or trade union members. Until a few years ago, credit union restrictions meant that all of the members within a specific union had to share a common bond – such as living in the same place. However, today, credit unions don’t have to stick to those same rules, which means that people can borrow from credit unions with greater ease. Credit unions can be an easier and more appealing way to borrow for some people in search of credit. They are owned and controlled by their various members, and are often run by volunteers that are elected by the complete group. When you borrow from a credit union, you will find that the experience is very similar to borrowing from a bank or building society.